Tom is an investment banker who doesn’t like his job. Every day, he gets dressed a suit and tie before heading into work and “spacing out” at his desk for at least an hour. Around mid-morning, he finally gets around to checking in on his client’s portfolios, and wonders why he ever got into this career. It sounded glamorous — the title of “investment banker” always sounded when he talked to family and friends, and the money was good—it just was never fulfilling for him. Tom checks all the boxes required in his job description and then checks out for the day. Tom’s good friend, Sara, started out in investment banking but eventually landed a job as the Director of Environmental Services at a large hospital. It wasn’t the job she initially envisioned for herself, but Sara loved the work. She loved the interaction she had with her team, nurses, doctors, patients and visitors to the hospital. Days went quickly and she didn’t dread coming to work each day. In addition to making sure the hospital remained clean, Sara also worked on community outreach and education programs. Tom makes a lot of money and has a prestigious title, so why does he hate his job? What makes Sara love her job so much? For as many Toms you meet, there are just as many Saras, so what’s the difference between the two? Is it the person or the work? A recent episode of NPR’s “Hidden Brain” show explores this topic, looking specifically a group of cleaning workers in a hospital. Psychologist Amy Wrzeniewski of Yale University says that it’s not as much about the job we are performing, but how we think about the job that results in greater fulfillment. In her research, Wrzeniewski found two distinct differences between a group of custodial workers. Group A described custodial work as not very highly skilled where Group B said the exact opposite— that their work was extremely skilled and it would be difficult for someone to replace them. As she looked further into these characterizations and how the groups engaged with their work, Amy’s team found that Group A only performed the tasks that were expected of them. Like Tom, they were box checkers and did not go beyond the basic job description. When asked to discuss their responsibilities, Group B also talked about the specific cleaning tasks, but also talked about the interactions they had with medical staff, visitors and patients. For example, one cleaner worked on a long-term rehabilitation floor where several patients suffered from comas. Recognizing that patients were not necessarily aware of their environments, this worker regularly rearranged the artwork with the hope that a minor alteration in their environment might assist with the healing process. Other cleaners talked about how they would try to view the room from the patient’s vantage—looking up at the ceiling from the bed—to make sure they had removed any cobwebs or other issues. Wrzeniewski calls this “job crafting” — or creating jobs that go beyond the standard description. People who “job craft” identify tasks and responsibilities within the scope of their position that engage them in other ways. 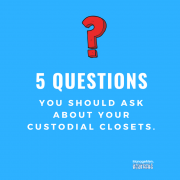 As a custodial professional who likely is responsible for managing a team of custodial workers, think about this not only in terms of your own personal development, but how you can help custodial workers on your team craft the scope of their work to find more fulfillment. 1. What types of things do you enjoy and what tasks make you feel good? For example, if you enjoy interacting with patients and their families, can you find ways to better connect with them while you work? 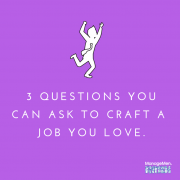 Are there tasks you can add to your job description that could relate to that interest? 2. What interpersonal relationships bring you the most enjoyment during your work day? From co-workers to building occupants, the relationships and interpersonal dynamics within the workplace can both be our greatest enjoyment and stress when it comes to our work. What are some ways we can enhance those relationships? 3. How does your organization benefit from your involvement? When researchers asked the custodians about their title, some gave their official title of a custodian or environmental services worker, but others said they were “healers.” Re-defining your role within the position can change your perspective while performing the work. You can also check out one of Amy’s articles in the Harvard Business Review here: https://hbr.org/2010/06/managing-yourself-turn-the-job-you-have-into-the-job-you-want. We’d love to hear more about how you find fulfillment in your job—chime in on Facebook! There’s a good chance that if you’re reading this blog post, you’ve heard us talk about Symposium. This annual gathering of facility management professionals has been happening for almost 20 years now, and each year, we welcome both new and familiar faces to the two-day event. 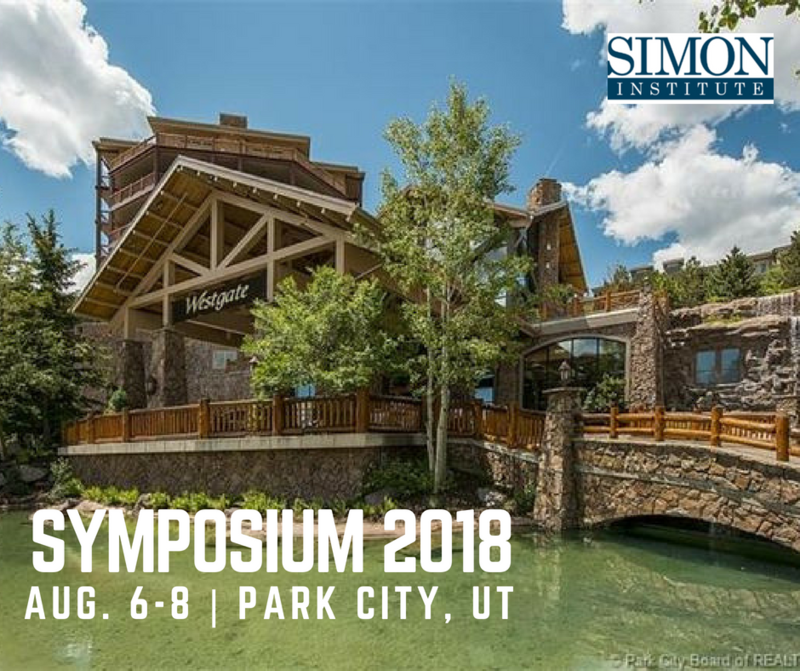 But if you haven’t attended or even heard about Symposium, here’s a quick download: The Simon Institute Symposium (previously known as the (OS1) Users Symposium), is an annual gathering of professionals representing different areas of the cleaning industry who meet and discuss best practices for a custodial operation. If you go, you’ll hear presentations from professionals at some of the top organizations throughout the country, including the United States Postal Service, Sandia National Labs, University of Texas – Austin, and many more, about proven strategies that have improved at least one area of their custodial operation. In fact, you can check out several past presentations here. In addition to the incredible knowledge and information sharing, attendees also benefit from networking with industry experts. You see, Symposium isn’t exclusively attended by facility management professionals, but also members of the Cleaning Industry Alliance and other representatives, such as researchers, safety experts and more. But what really sets Symposium apart from other industry events is that it’s formatted to facilitate an exchange of ideas. Those who have attended will tell you that sessions are extremely interactive and are designed to foster dialogue between everyone in the room. If you are serious about improving your custodial operations, the Simon Institute wants you to take home several actionable ideas to try. Interested? Even a little bit? 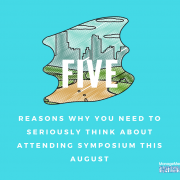 Here are five more reasons why you should consider attending. Explore Park City! The event starts on Monday, so think about arriving a little earlier to enjoy all that Park City, Utah, and the surrounding mountains have to offer. Take a drive through Guardsman Pass Scenic Backway; check out Olympic Park, the site of the 2002 Winter Olympics; or hop around downtown and enjoy the great culinary treasurers of the city. Whatever your interest, you’ll find it in Park City. Enjoy a personalized experience. Symposium isn’t a huge event attended by thousands. 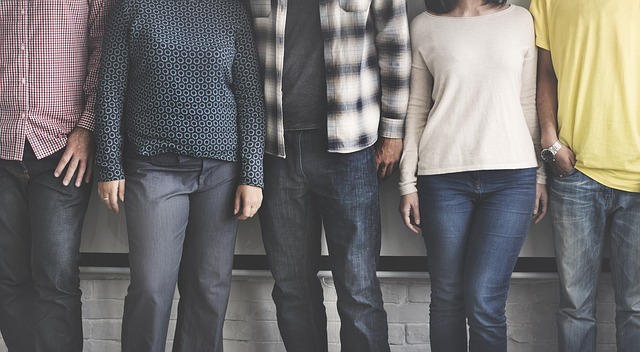 In fact, the Simon Institute intentionally keeps the group small so people have the opportunity to truly connect and network with one another. Maybe you listened to a presentation from Flynt Belk from the Workers’ Compensation Fund about performing a risk analysis and have some follow-up questions for him. This format will enable you to easily connect with him during a networking break or dinner and address those questions. It’ll make you smarter. No really, Symposium speakers are leaders in their field. You’ll hear actual case studies of proven strategies that have worked to reduce costs, engage workers, improve safety or address other common issues experienced by facility management professionals. The goal of Symposium is to identify and discuss best practices to make your custodial operation better. Enjoy the top awards program for the cleaning industry. Each year, the Simon Institute hands out several awards during our “Cleaning Industry Awards Banquet.” Billed as the top awards program in the cleaning industry, it recognizes the top leaders, innovators and achievers in the industry. Also special to the program is the industry’s only awards program for cleaning workers. Several organizations bring their top performing staff to be recognized during this special event. You’ll leave inspired. Attendees to Symposium agree—there’s a special buzz you get when you attend Symposium. The quality of attendees, presentations and experience will leave you excited about new things you can try to make your custodial operation clean better, more safely and in the most efficient way possible. If you’re thinking about joining us in August and would like to talk to a previous attendee about what you can expect, let us know. We’ll put you in touch with someone. But don’t wait too long! Our early bird rate expires July 1st and the hotel block at the exclusive Westgate Park City expires July 7th and our group code is S/O 63-244. Click here to reserve your seat! If you’re reading this blog, you already know that it takes a special kind of person to work as a custodian or janitor. The work is hard and often thankless. Wages can be low and people often talk down to you like you’re not important. When you see a full coffee cup in the trash can, you can’t help but think of the little consideration people have for others that their actions might impact. It might be your second or third job, but cleaning is something you probably do in the evening, when everyone else in your family is at home sleeping. When your shift is over, there’s a good chance your shoulders or back ache—but you come back the next day and do it all over again. As if the work of a custodian isn’t tough enough, we often see negative portrayals of cleaning workers in the media. A custodian is blamed for stealing or abuse. A housekeeper in a hotel uses the same cloth to wipe down the toilet and sink. These stories play into the negative stereotype of the profession and, as we see it, just aren’t fair—99 percent of custodial workers aren’t thieves or villains. That’s why it’s important to celebrate the positive stories that truly reflect the heart of most people who work so hard cleaning the buildings where we stay, work, learn, heal and visit. The first story comes from Northern Kentucky, where a janitor who earned $3.70/hour or about $7,000 year in 1976—a little ore than midway through his career. Alvin Randlett never graduated from high school, but spent 32 years working for a local elementary school before retiring in 2001. Known for his hard work and dedication to the school, his close friend shared that people all around town knew him and would yell out to him in passing, often giving him a hug. Never touching a dime of his pension, Randlett willed his life savings of $175,000 to child abuse victims through the Kentucky Child Victims’ Trust Fund. Our neighbors to the north in Novia Scotia shared a story last week about a much-loved janitor who worked at a nursing home for 40 years. Johnny MacLeod lives with Down syndrome, but that had no impact on his performance or attendance. In fact, co-workers told the media that he never complains. Then there’s the story of Scott LaFayette, Sandia National Laboratories’ (SNL) 2017 Custodian of the Year and a 2017 Outstanding Cleaning Worker. Scott LaFayette retired from the Albuquerque Police Department (APD) after serving 22 with the department and joined the Sandia custodial team. Presently, Scott is assigned custodial duties within critical and high-visible buildings at SNL. He ensures that these buildings are always clean by adding a touch of excellent customer service in his work. Scott is ardently aware of the expected Engineering Safety culture pursuit within SNL. He began his career at APD as a Patrolman, advancing up the ranks to Field Training Officer, Sergeant (four years), and retiring as a Lieutenant (seven years). Scott received his Bachelor’s Degree in Criminal Justice from University of Saint Thomas in Saint Paul, Minnesota. 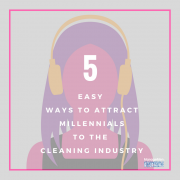 There are so many incredible people who keep the cleaning industry moving. 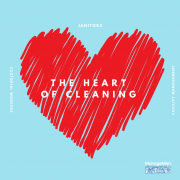 Without the custodians and janitors, there would be no one to use the cleaning products that are manufactured, no one to remove dirt from our buildings to keep them healthy, no one to train and use the cleaning systems we design. 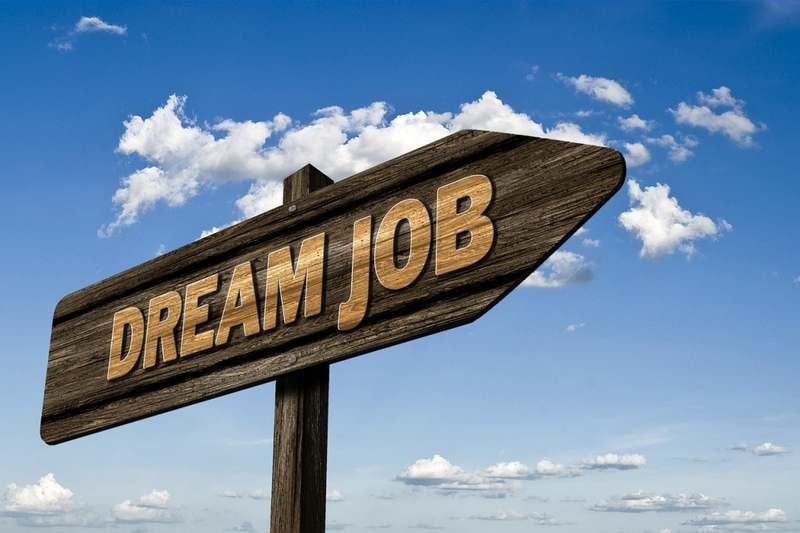 Whether you see this job as a transition in your life or a full-time career, whether you work in a school, a hospital, a hotel or an office building, know that we see you. We understand the hard work you do. We know it can be painful at times. But we also know that to do the work you do, it takes incredible strength, patience and perseverance. It takes a special kind of person to be a custodial worker. A person with a lot of heart. Thank you for all that you do. Nominate a custodial worker you know who demonstrates excellence in everything they do for a 2018 Outstanding Cleaning Worker award by July 16, 2018. These awards will be presented during the 2018 (OS1) Users Symposium in Park City, UT, Aug. 6-8, 2018. It’s audit season, and for people unfamiliar with the (OS1) process, that means it’s the time when we hit the streets to review how (OS1) users are doing. Some might view this as unnecessary, but it’s really what sets our system apart from any other cleaning program. You see, understanding the OS1 program and implementing it in an organization is just part of the process. The key to success is ongoing measurement, which is achieved through an audit. For an (OS1) user, performance is critical. A central tenant of our philosophy is “to clean for health protection first and appearance second.” To accomplish this, we want to be sure our users are cleaning in a way that creates a healthy condition by reducing exposures and risks. 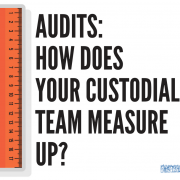 Over the past 20-plus years that we’ve been performing audits, we’ve found that they are a great way for custodial managers to keep staff focused because it discourages complacency. 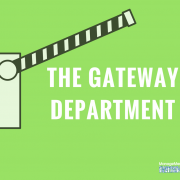 When people hear that someone will be coming to their facility to watch them work, ask them questions and evaluate the condition of their equipment and supply cabinets to establish compliance with the (OS1) system, they tend to stay on top of their game. For a manager, audits are also a great way to benchmark cleaning levels and set goals for higher performance. At the end of an audit, the operation is provided a complete report that identifies areas of compliance and non-compliance. Pictures accompany the report to validate report findings. Each audit is scored and benchmarked against other (OS1) operations so users know where they stand. 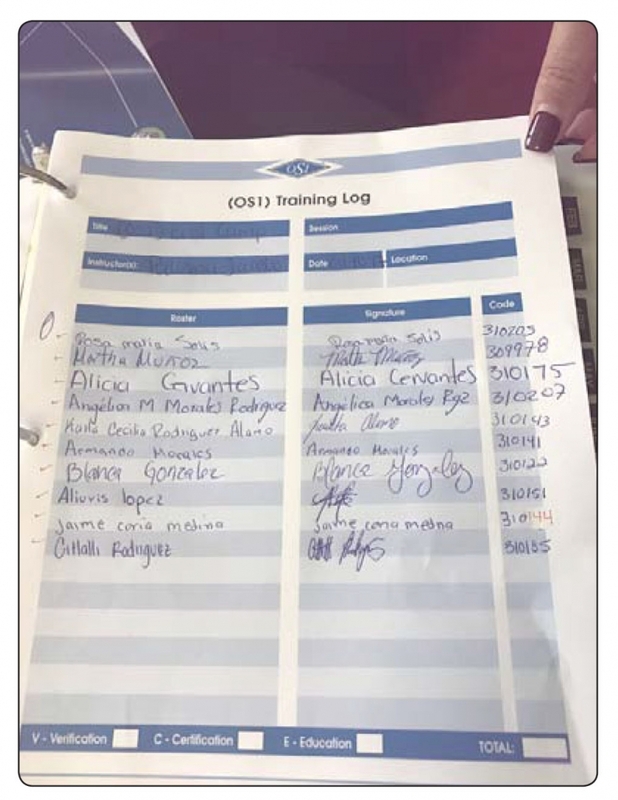 An audit will review all training logs to ensure that custodial staff members receive ongoing development and training. We’ve seen organizations that operate at a superior audit score go without an audit for a few years, and we’re always surprised to see how quickly complacency can derail the system. For example, at one large university, users were regularly getting audit scores of 90 percent and higher. They went three years without an audit, and when we went back, they received a 65 percent score. Supply closets were disorganized, custodial workers couldn’t identify certain products or processes, equipment was dirty—not what we’d expect from an (OS1) user. The best organizations work like they’re always facing an audit. They set goals. They look for ways to improve the way they clean. Training: Set educational goals for your team. In addition to regular in-services that provide them with training on work-related topics such as blood borne pathogens, chemical handling or ergonomics, provide them with resources to other training they can take through local vocational schools or industry organizations. Tie training goals to their performance reviews so they understand the importance of personal development. Safety: Look at how often custodial workers are injured and work to identify the cause of the injuries. Approximately 16,480 cleaners are injured each year from overexertion. If your team experiences back or neck injuries, consider strategies such as using lighter-weight equipment, increasing the number of storage closets available or pre-shift warm up exercises. Track injury rates and Workers Compensation payouts to see how your department measures overtime. Workload Balance: Evaluate the responsibilities and tasks assigned to custodial workers to ensure that they are evenly balanced between each team member. While this is a soft metric, it is critical that the balance is regularly evaluated to ensure the even distribution of responsibilities. Complaints: It regularly surprises us how organizations handle complaints. A lot of times, custodial managers will just handle the issue at hand and be done with it. Tracking complaints over time can help you gain insight into the root issue and potentially remove the condition that is causing the complaint. An obvious example might be that if you’re regularly receiving complaints about water spills in the restroom, you could add another cleaning rotation. You will never know if you are taking your custodial operation to the next level if you aren’t measuring—whether internally or using an independent expert to help evaluate your operations. We’d love to hear what KPIs you evaluate — join us for a discussion on our Linkedin page! We’re back for part two of our trash talking, the focus of our Earth Month series. In part one, we looked at upstream decisions you can make to eliminate waste, through source reduction or sustainable purchasing practices—basically making smart decisions about the products you purchase before they even enter the building. Today we’re looking at downstream initiatives for waste reduction. This includes recycling, composting and reuse strategies. While most of us call it “trash,” the technical term for garbage is municipal solid waste, or MSW. This covers everything we use and then throw away, such as product packaging, bottles, food scraps, paint, old equipment—basically anything you put in your trash can. While many facilities have recycling programs in place, the EPA estimates that 75 percent of the waste stream is recyclable, but that we only recycle about 30 percent of that total. Approximately HALF of the 254 million tons of trash generated in the U.S. each year comes from businesses. All that trash has to go somewhere, and the result is growing landfills. This is just one startling graphic from Fast Company that shows just how much of the U.S. is covered in landfills. Downstream MSW reductions can be made through some fairly simple steps within your facility. If you’re not already using the ENERGY STAR Portfolio Manager to track your rate, energy and water use over time, that’s a good place to start. This will allow you to measure the success of your programs and see what’s working — and what’s not. Reuse: When you can’t eliminate waste at the source, look for alternative uses for products. For example, you might be able to use materials received for inbound shipments for outgoing shipments. You might also be able to partner with a local business that can reuse your waste, such as plastic bottles, old buckets or equipment. Recycle: Recycling not only helps reduce the amount of virgin materials used in the manufacturing of goods, it also supports jobs in the recycling industry. Common types of recycling include single stream (all items go into the same bin and the recycler handles sorting), paper and cardboard, source separation (sorting materials at the facility) and eWaste (electronic waste). Compost: Organic waste, such as certain types of food scraps, yard waste and even some types of containers can be composted and used as a fertilizer. If you have an onsite cafeteria or if you work in the hospitality industry, this could be an excellent waste diversion strategy. As we mentioned in part one, a good first step to identifying ways to effectively reduces your MSW is to conduct an audit of your current waste stream so you have a benchmark for your program. If you don’t have a recycling program in place, start small by focusing on items such as paper and/or plastic. More advanced programs might look at options for composting food waste, which help reduce the amount of methane gas emitted from landfills. Reducing MSW isn’t just about limiting material going to the landfill, it can also be good for business. Millennials want to work for employers committed to sustainability. People want to do business with sustainable brands. If you’re not recycling at work, let Earth Month be the month you begin your program. Good luck! A waste management strategy typically includes two key parts: 1) Sustainable Purchasing, which focuses largely on the upstream decisions you make on sourcing and source reduction, and 2) Waste Management, which focuses on the downstream decisions you make related to waste disposal. 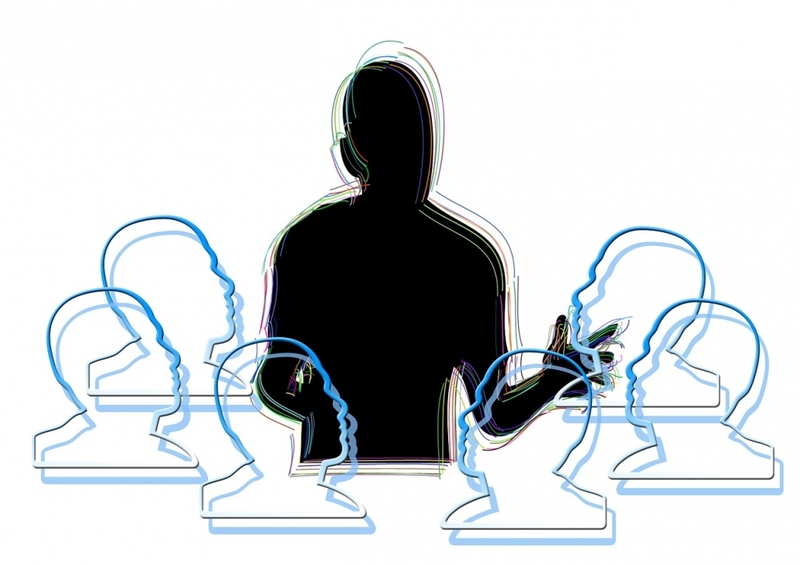 Throughout each element of your waste management program, employees should be engaged. When employees are engaged, your program has better odds for success. 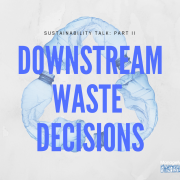 For part one of this two-part series, we’ll focus on the sustainable purchasing or the “upstream” part of your waste management program. It’s something ManageMen has been committed to since 1992. Similar to how we kick off any new (OS1) implementation, an audit is a great way to gain an understanding of your current waste stream. During an audit, you will look closely at the types of waste your building generates, and then see how much of each type of waste is recovered for recycling, or sent to a landfill. Planning: Identify what you want to achieve from the audit. 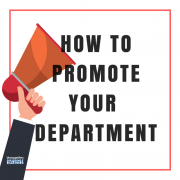 Include key stakeholders throughout the organization to let them know what you’re doing and why. You’ll also want to gather the necessary materials for the audit, such as bins, protective equipment, etc. Collection: Collect the waste and store it in the appropriate bins in a pre-determined location. Waste can be collected and sorted on the same day, or over a period of time, such as a week. Sorting: This is the messy part. Go through the waste and sort the materials into various waste receptacles. This might include recyclables, compostables and trash. Record your results by measuring the number of items or the weight of each receptacle. Analyzing: Analyze the data. What does it tell you about your current waste management program? What are the opportunities for improvement? Contact your local solid waste administration for additional audit materials and resources. Source reduction through sustainable purchasing practices is an effective waste reduction strategy. Sustainable purchasing means buying products in a way that not only considers the cost of the product, but the environmental, social and health impacts. In the cleaning industry, there’s been a lot of focus on sustainable purchasing practices (e.g. looking for products with third party certifications, renewable resources and local sources). But when it comes to source reduction, we have a lot of room for improvement. 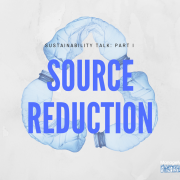 Source reduction, or waste prevention, means finding ways to accomplish the same amount of work while using less product and generating less waste. Buy nice, or buy twice. Oftentimes, when you purchase cleaning equipment and supplies based on price, there’s a good chance that you will end up having to replace the product sooner than you would have to if you would have purchased a better quality product the first time around. Consider the packaging and system. We like the PortionPac system because it eliminates redundant supplies, allowing cleaning departments to reduce their cleaning product assortment by as much as 40 percent. It does this with pre-dispensed chemical that users simply pour into their containers. Simplify through standardization. When an engineered approach to cleaning is deployed, you are better able to streamline products and procedures, ultimately reducing waste. Engage employees. Encourage employees to identify ways they can help reduce waste or reuse items throughout the facility. This will improve the overall success of your effort. Avoid purchasing hazardous materials when possible. Enough said. The theme for Earth Day this year is “End Plastic Pollution.” Of the 9.1 billion tons of plastic produced in the world, an estimated 6.9 billion tons is waste. As we kick-off Earth Month, let’s look at source reduction strategies we can use to reduce the amount of plastic used in our operations.